Product prices and availability are accurate as of 2019-04-19 13:00:12 EDT and are subject to change. Any price and availability information displayed on http://www.amazon.com/ at the time of purchase will apply to the purchase of this product. 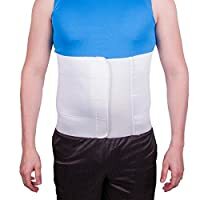 The abdominal binder helps promote proper healing during the first seven days following surgeries such as tummy tuck (abdominoplasty), hernia operations, gastric bypass, and abdominal liposuction. 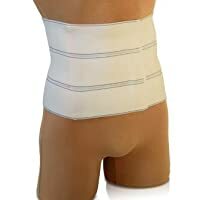 People suffering from low backache and pressure use abdominal binders for outstanding support and pain relief. The exclusive medical grade designs cannot be found in retail stores. We proudly offer only latex free products MADE IN THE USA. Slip into soft, healing post-surgical support with an abdominal binder. Finely-woven individual panels taper to conform to the body's natural curves, allowing flexibility while safely supporting sensitive surgical sites. Unisex sizing based on body measurements.